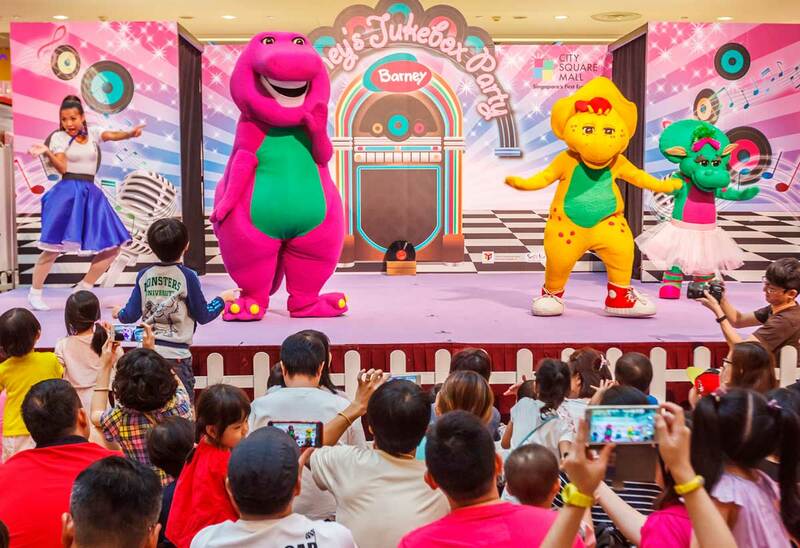 Barney is returning to City Square Mall for his fourth show! Join Barney, BJ, and Baby Pop in this up-beat and educational ‘live’ programme, and sing along to all-time favourites with a fresh twist. The new 15 minute musical celebration features some evergreen favourites with fresh new beats, mixed together with a sunny beach feel, to make for our sandy celebrations. Shoppers can also redeem a free pass to Meet & Greet the adorable purple dinosaur himself up on stage with a minimum of $50 spent. Hurry though, as there are only 50 passes per show. Show timings are 2pm & 7pm (Tue – Fri) and 1pm, 4pm & 7pm (Sat & Sun). WIN! We are giving away 10 Meet & Greet *passes. 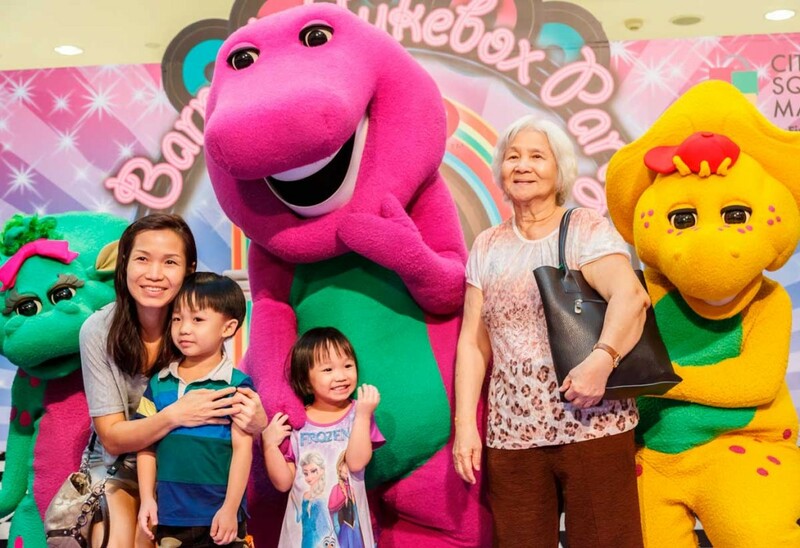 Each pass allows a family to head on stage to take a photo with Barney and friends. *Passes can be used on any of the show days. To win, register below! This has ended on 26 May 2016. Closing date for this contest is 26 May 2016. This contest is open to all Singapore’s Child online members residing in Singapore only.